Our club has a friendly, family atmosphere and positively encourages all categories of members to play golf together (Men, Ladies, Juniors and Seniors). The facilities at the club include fully licensed, newly refurbished clubhouse serving hot and cold food and beverages, large practice area, practice bunkers, putting green, floodlit/covered driving range, fully equipped pro-shop and plenty more. Golf Societies are very welcome. We also pride ourselves on having one of the finest team of professionals led by former European Tour professional - Nick Mitchell. 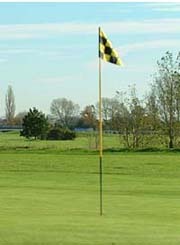 Why not browse through our web pages to find out more about the Club, and facilities available. Better still, why not come and experience it for yourself by booking a tee-time at the Golf Centre Pro-shop.